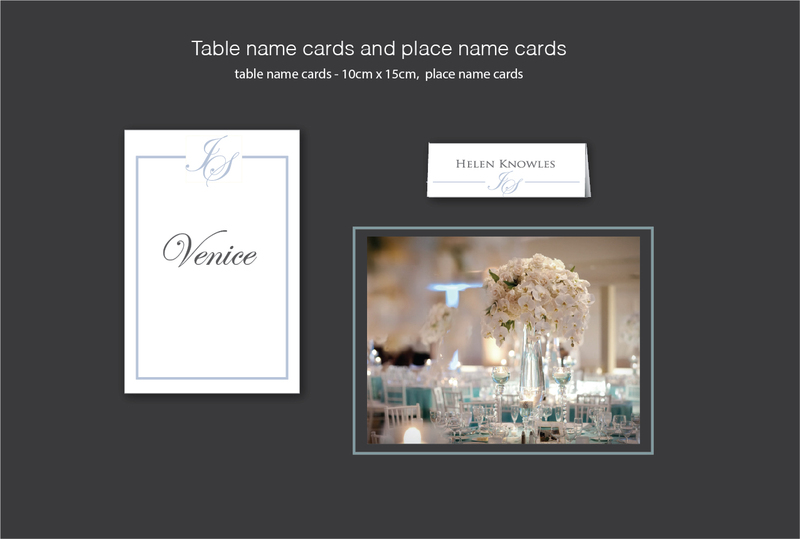 we designed all Jackie and Stephen’s wedding stationery and when it came to the table stationery we used the same matching fonts and monogram details. 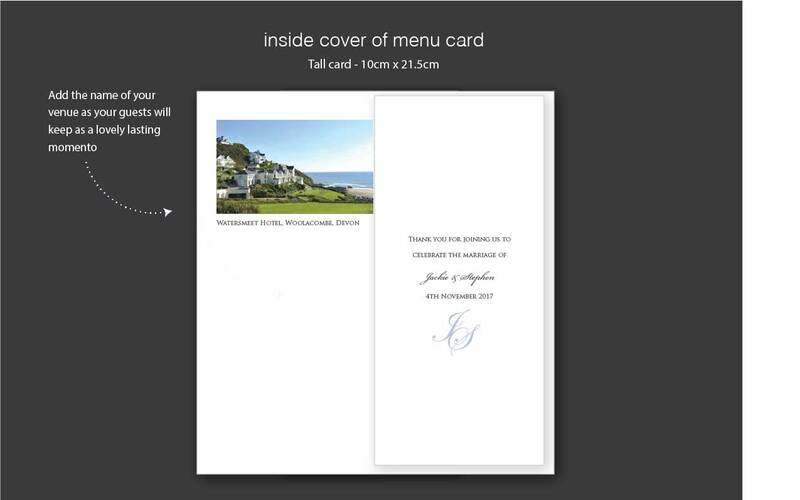 They used a lovely photo taken at the venue to add a special personal touch to all their wedding menu cards. 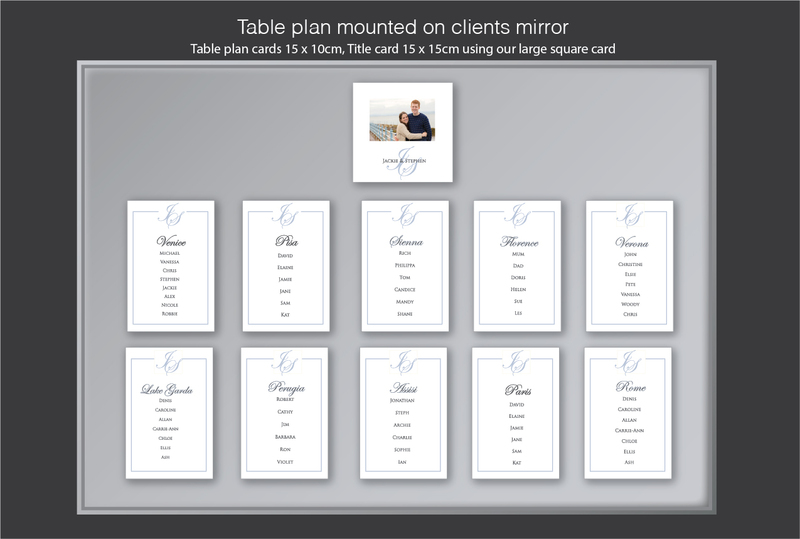 They already had a favourite mirror they wanted to use for their table plan, and we designed and printed the cards for them to arrange on the mirror. The result was really effective. 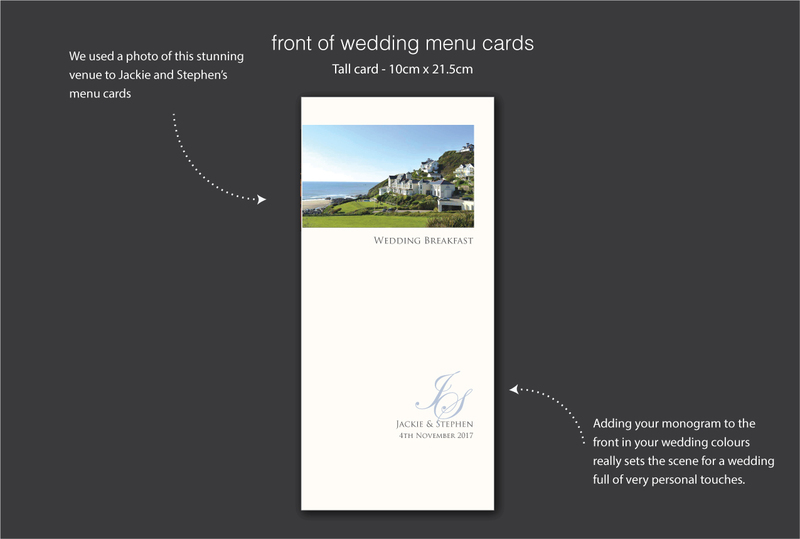 The tables were all named after romantic holiday locations the couple had been to together. 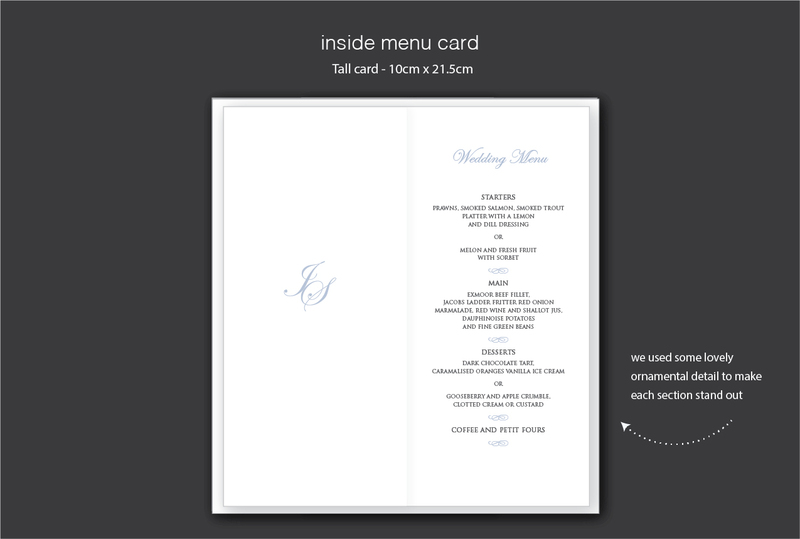 All the stationery used the same colours and monogram to give a very personal touch.